Open daily 10 am -5 pm (excluding major holidays). 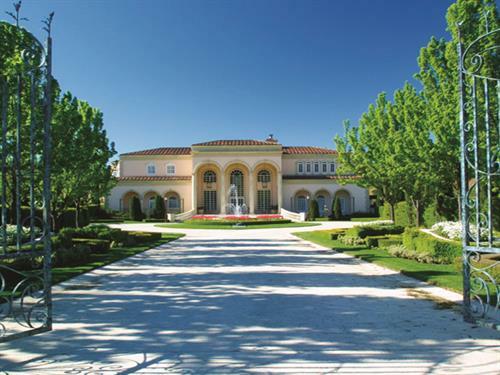 Nestled in picturesque Dry Creek Valley, Ferrari-Carano Winery, founded in 1981 by Don and Rhonda Carano, is home to award-winning wines, acres of beautiful gardens and breathtaking vineyard views. Starting with a small, 30-acre vineyard in the late ‘70s, Ferrari-Carano has grown to 1,900 certified sustainably-farmed acres in five appellations. At the winery, visitors may taste wines in the Villa Fiore Wine Shop, in the Enoteca in the underground cellar, or on Il Terrazzo overlooking the vineyards. Vintage after vintage, Ferrari-Carano wines exhibit the Caranos’ commitment to quality and excellence and their desire to create wines that enhance the pleasures of gracious entertaining.